The most important component of any oral hygiene plan is preventive care. The Chambers Family Dentistry team recommends biannual visits to prevent the majority of oral health concerns. During these six month checkups, our team will examine your smile, offer general dentistry services like sealants or fluoride treatments, and partner with you to develop a plan for ongoing oral health care. Whether it’s been six months or six years since you last visited a dentist, call our team to schedule your next dental checkup today. Our Annapolis, MD dentistry practice welcomes patients from surrounding communities including Arnold and Millersville. We offer dental exams, cleanings, and X-rays at our Annapolis, Maryland dental office to help you achieve and maintain optimal oral health. Our gentle dentists and dental team will examine your mouth to check for signs of tooth decay, periodontal disease, bruxism, TMJ dysfunction, oral cancer, and other dental problems. 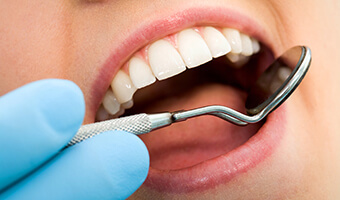 One of our skilled dental hygienists will also clean your teeth, thoroughly removing plaque and tartar from the hardest to access dental surfaces to prevent tooth decay and gum disease. Dr. 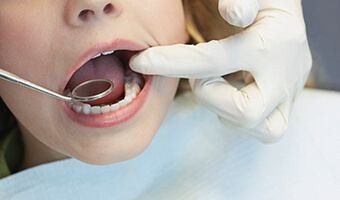 Chambers, Dr. Raimondo, and Dr. Jiminez will regularly take X-ray images of your mouth to further check for dental problems and ensure that you receive the best possible dental care. It is important to visit Chambers Family Dentistry every six months for your routine exams, cleanings, and X-rays. At the end of each regular checkup, we’ll review your current oral health, answer your questions, and make recommendations for ongoing oral health. Please call our friendly dental staff today to schedule your next appointment! If you are one of the many US adults who grind and clench their teeth at night, you may be suffering from an oral health condition known as bruxism. This chronic nighttime grinding and clenching may seem harmless, but left untreated, bruxism can result in any number of oral health concerns including chips, cracks, and pain in the jaw joints. 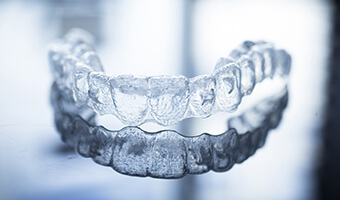 Our team creates custom nightguards that protect teeth from the potential damage of nighttime teeth grinding and clenching. As part of our ongoing dedication to protecting patients’ oral and overall health, we conduct regular screenings for oral cancer. According to research from the Oral Cancer Foundation, most patients diagnosed with oral cancer don’t live more than five years beyond their initial diagnosis. Thus, their recommendation to decrease the number of annual deaths associated with oral cancer is to diagnose this disease in the earliest stages. That’s why oral cancer screening is an essential part of six month checkups in our Annapolis, MD office. These screenings are comfortable and quick, and our goal is to note the earliest warning signs of oral cancer and begin treatment right away. If we do find symptoms of oral cancer, we’ll work in partnership with one of our local medical professionals who has experience with oncology, the treatment of cancer. Throughout any treatment that is necessary, we’ll work alongside these practitioners to ensure your oral and overall health. Sealants and fluoride treatments are simple yet effective dental treatments designed to prevent tooth decay and keep your smile healthy. A dental sealant is a coating applied to teeth to protect them from the food particles and bacteria that cause decay. Dr. Chambers, Dr. Raimondo, and Dr. Jiminez recommend that sealants be applied to the back permanent molars as soon as they come in (usually between the ages of six and twelve) because those teeth are especially prone to decay. In certain cases, our dentists may also suggest dental sealants to adult patients. 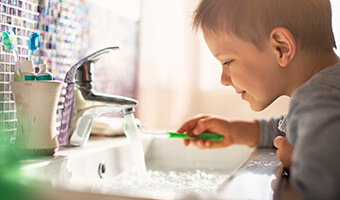 Fluoride, a naturally occurring mineral, also helps to prevent tooth decay by strengthening the tooth enamel. We provide fluoride treatments at our Annapolis, Maryland dental office to fortify your teeth and prevent future dental problems and pain. We invite you to call us today at Chambers Family Dentistry to learn more about sealants and fluoride treatments. In some cases, we may also provide prescriptions for toothpastes, mouth rinses, or fluoride treatments to protect your smile and improve oral health.